This course will cover the history of design from ancient Egypt to the late 19th century. Illustrated lectures, discussions, class projects, and assignments will introduce the students to various historic periods and styles of design, with a focus on Western Civilization. Architecture, furniture, painting, and various other art forms and applied arts will be discussed. $536.53 - $536.79 See individual course offerings below for actual costs. Mandatory Prerequisites: 50% in COMM 1120 65% in INTD 1100 No class will be held on Mondays April 22, May 20, & July 1 - Stat holidays. If you wish to be placed on the INTD department maintained waitlist for this course, please email INTD_Waitlist@bcit.ca with the following information: Your name, student number, course number, and CRN. Mandatory Prerequisites: 50% in COMM 1120 65% in INTD 1100 No Class on April 19 (Friday) - Easter Friday. If you wish to be placed on the INTD department maintained waitlist for this course, please email INTD_Waitlist@bcit.ca with the following information: Your name, student number, course number, and CRN. Identify similarities and differences in various historic periods. 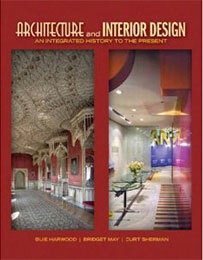 Explain the various stylistic architectural building components and their relationship to furniture and interiors. Recognize the historical, social, and economic drivers which influenced motifs, concepts and components of architecture, furniture and interiors. Identify the components of furniture, using terminology of architectural derivatives. Apply their knowledge of the elements and principles of design to differentiate historic periods in furniture. Interested in being notified about future offerings of INTD 1370 - Design History 1? If so, fill out the information below and we'll notify you by email when courses for each new term are displayed here.